ORNL cybersecurity researchers Jared Smith (left) and Elliot Greenlee (right) participate in a demonstration day event to showcase how Akatosh, a new security analysis tool, quickly sorts through data to identify potential threats. August 28, 2018 – As technology continues to evolve, cybersecurity threats do as well. To better safeguard digital information, a team of researchers at the US Department of Energy’s (DOE’s) Oak Ridge National Laboratory (ORNL) has developed Akatosh, a security analysis tool that works in conjunction with standard software to detect significant irregularities in computer networks. This new resource coordinates with intrusion detection systems (IDSs), which monitor computer networks for private companies, government facilities, and academic institutions and set off alerts in response to abnormal activity. IDSs tend to trigger false alerts, forcing cybersecurity analysts and IT professionals to manually search the network for changes. Akatosh saves precious time and resources previously consumed by this tedious process by periodically taking snapshots of host systems on the network during everyday operations and establishing a baseline, then taking another snapshot each time an IDS alert occurs. By comparing these snapshots, Akatosh can immediately show changes that transpired leading up to and during a cyber event. Automating the process of sorting through IDS alerts reduces the time and cost required to identify the source of a security incident and neutralize the threat. The system summarizes relevant changes and sends a report to the network administrator to quickly determine whether the changes indicate the presence of a legitimate security threat. The ability to accurately determine the validity of IDS alerts in real time means analysts can begin mitigating the negative effects of malware attacks, phishing emails, and other cybersecurity problems as soon as they appear. “Akatosh solves such a widespread efficiency problem by dealing with incidents on a network much faster, which allows us to allocate our time better. It provides a more targeted way to weed out unimportant data and reveal areas of concern,” said Smith, who has been working on Akatosh since he first arrived at ORNL as an intern in 2015. After becoming a staff member in the Cyber and Information Security Research Group (CISR) of CCSD’s Computational Sciences and Engineering Division in 2017, he has served as principal investigator for the project in collaboration with a team of software engineers and interns. Their work on Akatosh supports CISR’s mission to defend against cyber attacks and uphold the security of information and infrastructure nationwide. Akatosh was selected into the fifth cohort of the Transition To Practice (TTP) program, a commercialization accelerator within the US Department of Homeland Security (DHS) Science and Technology Directorate (S&T). Through TTP, DHS S&T is leading the successful transition of federally funded cybersecurity technologies into broader use through commercialization and adoption by end-users. To demonstrate Akatosh’s dynamic capabilities, the team recently traveled to San Francisco for RSA, the largest security conference in the country. 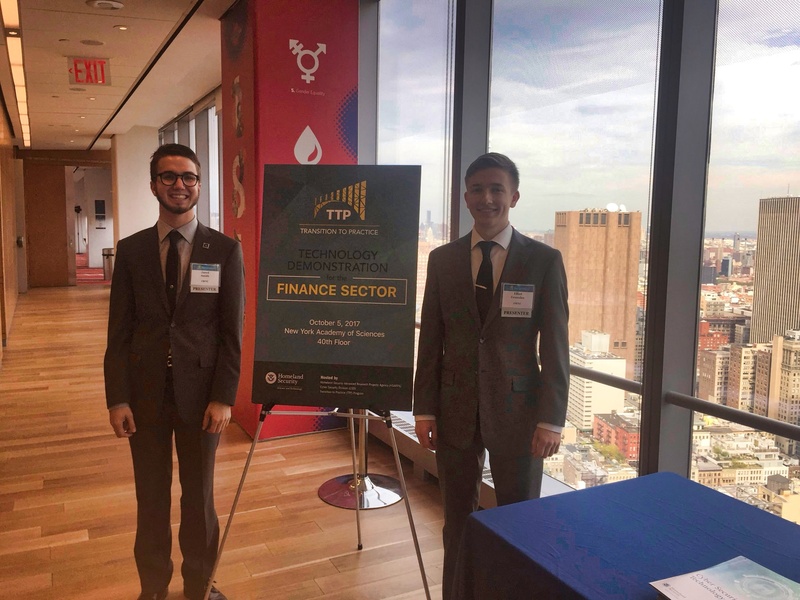 They also showcased the technology at TTP Demo Days in New York and Washington, DC. Several companies have shown interest in licensing Akatosh after observing promising demonstrations.